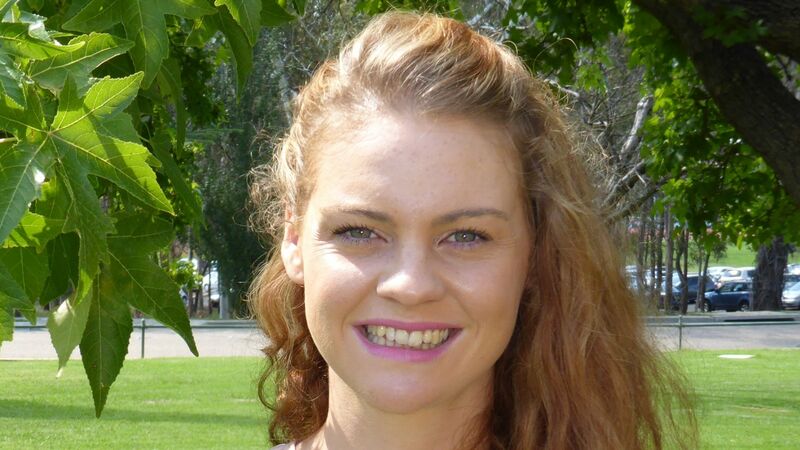 Dr Sarah Verdon is a dynamic early childhood researcher and speech pathologist at CSU who is passionate about creating equitable opportunities for supporting the communication development of children around the world. Dr Verdon has been winning awards for her academic achievement since obtaining her CSU PhD in 2015. Dr Verdon has seen her work adopted nationally and globally to benefit the language development of young children. Dr Sarah Verdon, a senior lecturer and researcher with Charles Sturt University (CSU) is a dynamic early childhood researcher and speech pathologist who is passionate about creating equitable opportunities for supporting the communication development of children around the world. Dr Verdon was recently recognised for her efforts when she was nominated for the national Frank Fenner Prize for 2019 Life Scientist of the Year, to be announced later this year. A member of the CSU School of Community Health, Dr Verdon lives in Culcairn in the NSW Riverina region and is a mother of two young children. Her work is devoted to supporting children to become competent communicators in the early years of life. “I believe that every child deserves to be able to effectively communicate to share their needs, personality, dreams and identity,” Dr Verdon said. Dr Verdon’s PhD studies, completed with CSU in 2015, supported the communication development of children from culturally and linguistically diverse backgrounds. Her research spanned five continents and resulted in development of a holistic practice framework titled “The Principles of Culturally Competent Practice”. Sarah’s thesis was awarded most outstanding thesis in her CSU faculty and was selected in the top three theses in the world for childhood disability by the Holland Bloorview Institute in Canada. Her findings are now used for staff professional development by Speech Pathology Australia and the Victorian Department of Education. In 2015, Dr Verdon received the NSW/ACT Young Achiever of the Year award for Science Leadership, based on her PhD research, which resulted in nine refereed research papers and numerous presentations at international conferences. In recent years, Dr Verdon continues to make substantial contributions through research on children’s speech and language development and developing a culturally responsive health workforce. “The opportunity to develop effective communication skills in the early years of life lays the foundation for lifelong social, academic and economic outcomes,” Dr Verdon said. She has investigated the multilingualism of Australian, children and supports the maintenance of home languages by highlighting the cognitive, social, emotional, academic and economic benefits of multilingualism. Dr Verdon is currently co-chair of the International Expert Panel on Multilingual Children’s Speech - a group of experts from over 40 countries, speaking over 30 languages, who develop research and guidelines to support the speech development of children across the globe. Within Australia, Sarah’s research has led to the development of national guidelines for “Working in a culturally and linguistically diverse society”, commissioned by Speech Pathology Australia as guidance for Speech and Language Pathologists. Dr Verdon and her colleagues were recently awarded a prestigious Australian Research Council Discovery Project grant to further develop the evidence-base for practice that will support the speech and language development of Vietnamese children living in Australia. Findings from this project will develop a prototype for children speaking other languages, supporting the 1-in-6 Australian children who speak a language other than English when they start school. Vietnam holds a place near Dr Verdon’s heart. She is a board director for the Trinh Foundation, a not-for-profit Australian organisation whose mission is to establish the speech therapy profession in Vietnam. Working with local volunteers, Dr Verdon has overseen research to develop the first language assessment in Vietnamese to identify children in need of intervention for language disorders. She has also successfully secured competitive grants to establish professional mentoring and ethics training for the speech therapy profession in Vietnam. As well as undertaking her own research, Sarah is passionate about mentoring the next generation of researchers, especially women in science, at the bachelor, masters and PhD level. Dr Verdon will be available for interviews and pictures at the CEW, CSU in Albury-Wodonga, Ellis Street, Thurgoona, after 11am on Tuesday 19 March.